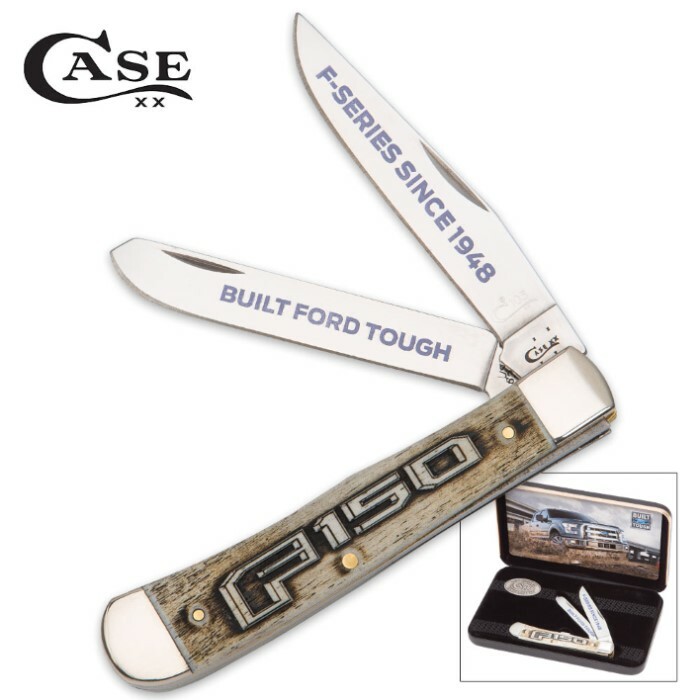 Case Ford F150 Natural Bone Handle Trapper Pocket Knife | BUDK.com - Knives & Swords At The Lowest Prices! 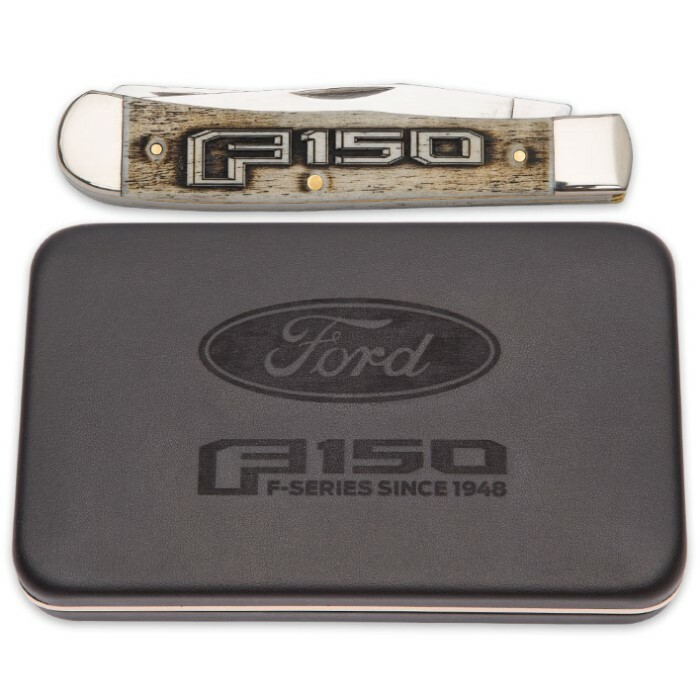 Just like Case, Ford F150s are a classic and to pay tribute to these awesome trucks, we present the Case Ford F150 Trapper Pocket Knife. It features embellished clip and spey blades, an F150 embellished smooth natural bone handle and a Case Collectible Medallion. The blades are made of Tru-Sharp surgical stainless steel with nail nicks for opening and Case Long Tail C serialization. The smooth natural bone handle has F150 embellishment and nickel silver bolsters. 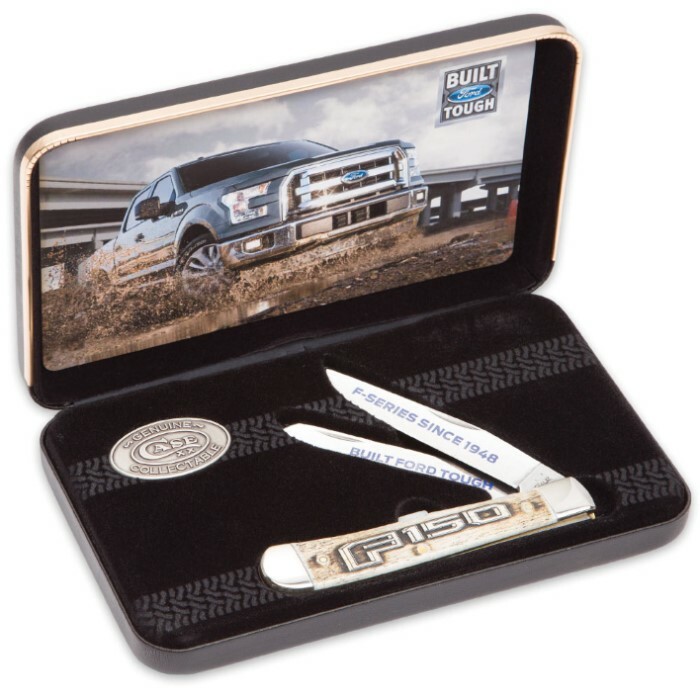 A Certificate of Authenticity is included with this Case Knife Set and it is packaged in a jewel box with Ford F150 embellishment.